Did you know that 60% of the sales process is over before anyone ever talks to a sales rep at your company? That’s according to the study, The Digital Evolution in B2B Marketing, from Google and CEB. More often than not, your online presence plays a vital role in a person’s decision to reach out to your company or to move on to your competitor. Having a LinkedIn profile and company page properly designed, written, and executed will make that decision to work with your company a little bit easier. LinkedIn provides one of the first impressions people have about your business. Like your resume, it gives people an overview of who you are, why you should be trusted, and how well you know your stuff. You will tarnish your reputation if you don’t have a stellar LinkedIn profile. The way LinkedIn suggests for you to setup your personal profile is similar to the traditional resume style. Helpful tidbit: That traditional resume style doesn’t work very well anymore. If you want to use your LinkedIn profile to generate leads, you need to put your best foot forward from the get go. There are a few core components to your profile that you can’t ignore. Your Headshot. This should be a professional image that expresses you in the business world. If you’re light-hearted, don’t be afraid to show yourself laughing. If you’re working in an industry where compliance is a top priority, use an image that inspires trust and confidence. Your Headline. Your headline appears in search results and is the first thing that people see. It should include keywords to help you get found and attention grabbing verbiage to help you stand out. It’s a delicate balance but with some thought and creativity, you can make it happen. Your Specialties. What makes you unique? What makes you stand out from other professionals in your niche? This is your time to shine so don’t be afraid to brag a little. And when you do, make sure to include a few more keywords so that LinkedIn’s search engine knows how to present you. Once you have these features set up on your personal profile, you can edit it so that the most important sections appear at the time. Bring the areas that put you in the best light up front and center. Not sure? Consider this: If you could have your visitors do one thing when they land on your profile, what would it be? Use that action to guide the setup of your personal profile. Before you finalize the setup of your profile, there’s one last crucial step that many people forget. To encourage connections with other people, you need to adjust your privacy settings. To adjust your privacy settings, click on your profile picture in the top right corner. Then, scroll down to “Privacy & Settings.” Here you’ll want to select what others see when you look at their profile. At the bare minimum, you should include your name and headline. That way, they’ll know you’re interested in working with them. Creating a company page on LinkedIn is similar to designing your personal profile. Like your personal page, you must put your best foot forward above the fold (everything your visitor sees before scrolling further). Here’s what you must include to make the best first impression for your brand. Your Logo. This is the best way to help your visitors instantly identify your brand visually. If they’re not familiar with your brand already, they’ll immediately get to know your logo so that when they see it other places, they’ll recognize you. Your Banner Image. Your cover photo, or banner image, shares your brand’s identity with your audience in a visual manner. 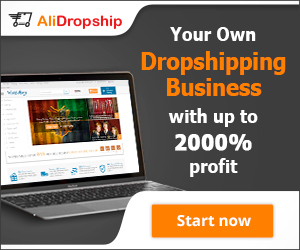 This is where you can show off how your product is used and the experience your customers have with your business. Your Headline. Just like with your personal profile, your headline should convey a strong message about what you offer. In it, make sure to use keywords so that your business rises to the top of search results, above your competitors. Your Specialties. Notice a pattern here? Your company has specialties too. Outline these to your audience at the top of your company’s page. Again, don’t forget to incorporate keywords so that LinkedIn knows how to present you. LinkedIn offers a unique way to drill down to the core offerings of your business. Your company page might offer a general overview of all the products or services you provide, but when you want to hone in on the specifics of your business, a showcase page can help. Showcase pages are basically subpages of your business page. Visitors reach them through your main company page, which means that when they arrive there, they’re already interested in your brand and what you have to offer. Make these pages stand out by demonstrating why you’re unique in the space. This is especially important if you have sub-brands or market to different audiences. You know what you need to incorporate, but what are others doing to generate leads through LinkedIn? Glad you asked. 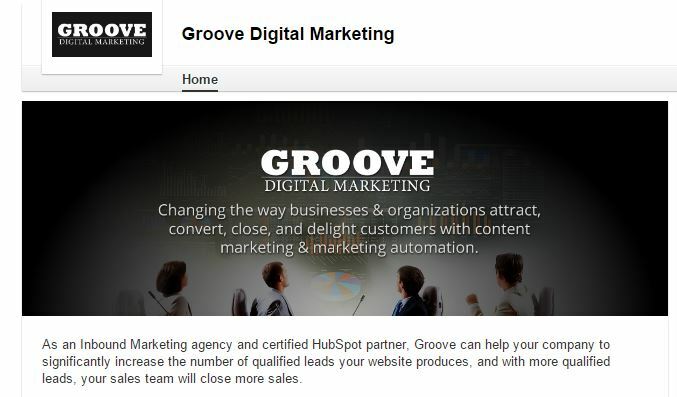 HubSpot has a strong example of a LinkedIn company page with all the right components. It has the crisp logo, a banner image that sends a clear message, a strong description with plenty of keywords, and a list of specialties with keywords. If you want to use LinkedIn to generate leads, you need to optimize your profiles with compelling information, visuals, and keywords. Without this, you could turn your audience off and lose a potential sale before the person ever reaches out to your company. Looking for more information on how to maximize your presence on LinkedIn? Download our free report called, “The Complete Guide to Leveraging LinkedIn for B2B Lead Generation.” In it, you’ll discover how you can position yourself and your company as an expert in your field – all on one powerful social network.